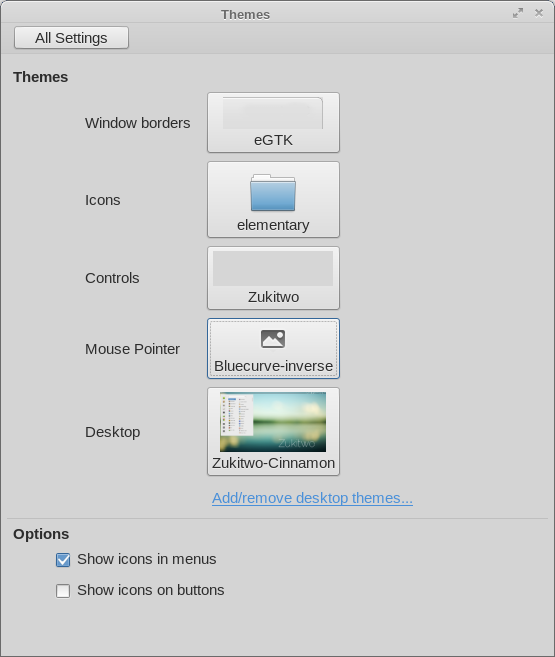 Any suggestion on good theme configuration for Fedora 21 Linux? My favorite combination of Window borders, Icons, Controls, Mouse Pointer and Desktop is as follows. All packages and themes are from Fedora repository or the Cinnamon repository. The fonts are configured as in https://www.systutorials.com/5472/improving-fedora-font-rendering-with-open-software-and-fonts-only/ .